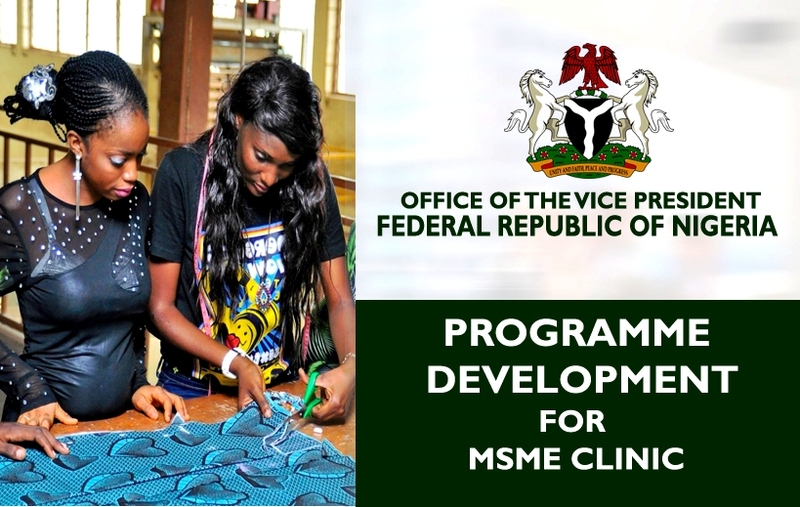 Programme development for MSME Clinic, on behalf of the office of the vice president, Federal Republic of Nigeria. About Project: The project entailed the development of the concept, program implementation and communication strategy, monitoring and evaluation framework and tools for the National Micro Small and Medium Enterprise (MSME) Clinic to be held in 36 states of Nigeria on behalf of the Office of the Vice President of the Federal Republic of Nigeria. Role: Consultant, Programme development & Strategy.